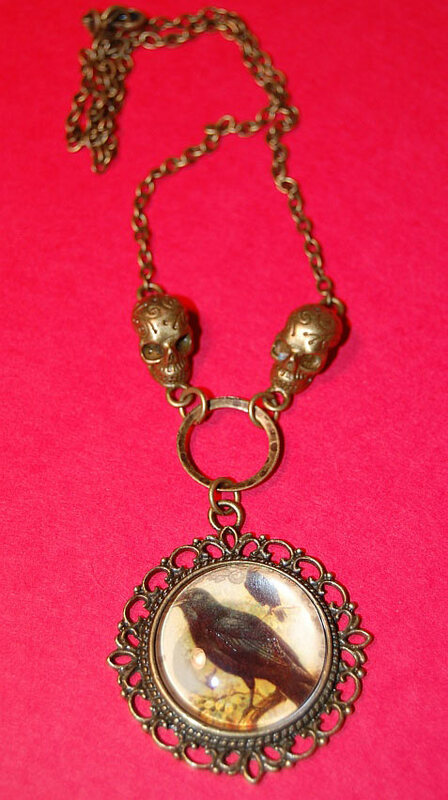 Black Crow vintage necklace from Jackdaw Landing, features an antiqued brass finished setting with vintage black crow image (Did we mention we love Jackdaws?) centered within filigree sugar skull connectors. The chain is 18" in length and the cameo setting is 21.5" inches in diameter. Each piece is custom made by hand with care and time. Ask us about custom ordering at [email protected] if you are interested in a different image.